As you may have seen in Recent Acquisitions, I recently received a bunch of brown plastic vintage insects. I have multiple sets so I thought I'd paint a set. I have started with the centipede, painting it to look like Scolopendra heros. 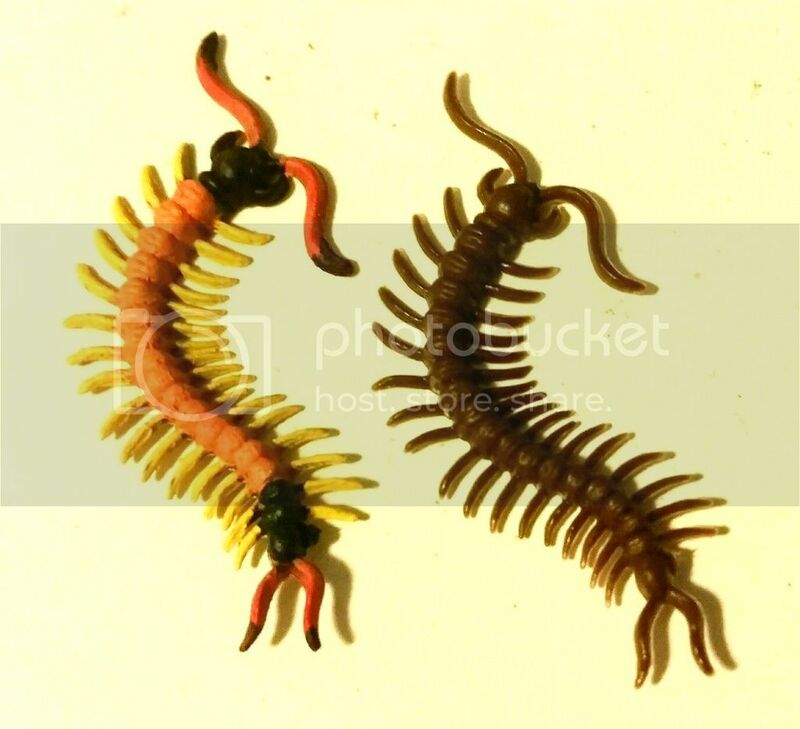 The plastic doesnt receive acrylic paint well and they are small (the centipede is 30 mm not including appendages). I like your colorful repaint. A few years ago Walmart sold a spray primer called Krylon Fusion for Plastic that took acrylic paint well. Nice! This shows how much an old figure can benefit from a good repaint. A good repaint means a good sculpture and a new face for the figure .